Warner Bros. Studio Tour Hollywood is expanding this Halloween with an all new immersive experience created especially for horror fans. For six nights only, Warner Bros. Studio Tour "Hollywood: Horror Made Here" will transform the famed backlot into a festival of frights, taking guests into the most spine-tingling moments from some of Hollywood’s greatest horror movies. 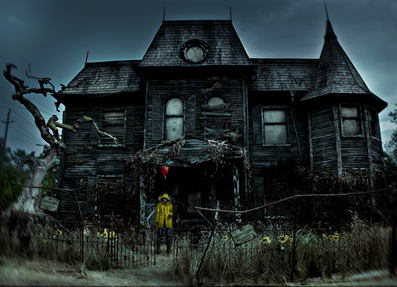 As part of the expanded offerings, Horror Made Here will include the Neibolt House from the highly popular The IT Experience: Neibolt House Hollywood, which is moving to the Warner Bros. Studio backlot for horror enthusiasts as part of this special event. In addition to the Neibolt house, each evening will also feature Halloween-themed activities, music, food trucks, chilling interactive dark walkthroughs, exclusive nighttime tours and a chance to “float” in the IT VR experience. "Horror Made Here" will take place October 19 to 21 and 26 to 28 – six nights of fun-filled haunts and scares as guests walk through experiences from IT, The Conjuring and A Nightmare on Elm Street. Fans can get up close to Pennywise’s rickety circus wagon, sewer pipe and three doors of scare from New Line Cinema’s blockbuster film IT, as well as take a photo op with Elm Street’s infamous Freddy Krueger…if they dare. Guests will also be able to tour Stage 48: Script to Screen for an up-close look at the original costumes, props and set pieces that contributed to many of the scariest moments in horror movies. Some of the most notable items in the collection include: The Valak, the Demon Nun costume and the zoetrope from The Conjuring 2; a recreation of Bee’s Bedroom and the Work Shed from Annabelle: Creation; and Bill Skarsgård’s Pennywise costume, along with Georgie’s rain slicker, from IT. Adventurous guests can take two different Studio Tour routes revealing behind the lens of some of the most memorable horror scenes captured for TV and movie screens as they explore the Radley Sanitarium from Pretty Little Liars, creep through the haunted Jungle backlot, and visit the sets of classic horror films like Whatever Happened to Baby Jane? Tickets are on sale now starting from $69 per person at wbstudiotour.com. The Horror Made Here experience is designed for guests 18 years of age and over. Valid ID will be required upon entry to the tour. Tags: Hollywood, horror made here, It, Movie, movie news, neibolt house experience, studio tour, Warner Bros.